Five migrants were killed trying to get to Spain on a rickety boat in a storm and more than a dozen are missing, police said Tuesday, increasing the toll to 18 after 13 were found dead the day before. Authorities said on Monday that 13 African migrants had died off the coast of Melilla, a Spanish overseas territory in northern Morocco. Then on Tuesday, the Civil Guard police force said five bodies were found off Cadiz in southwestern Spain, adding that rescuers were looking for 15 to 17 others. In Cadiz, “20 migrants arrived in the midst of a storm” in very rough seas on board a “wooden, very old” boat with almost no water or food, said a Civil Guard spokesman. The bodies were found off the coast on Monday. “According to the migrants, there were around 40 on board,” he added. Coastguards were, however, able to rescue another 100 people. 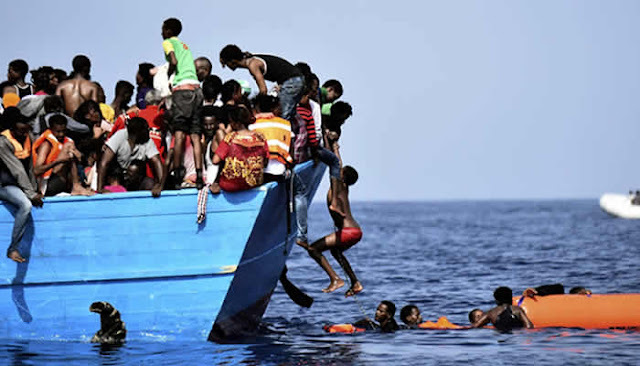 More than 49,000 migrants have arrived in Spain by sea since the start of the year, according to the International Organization for Migration, and at least 560 others have died in the process.